Nan decides its finally time to leave her abusive husband Kyle and make a run for it but not until she duct-taped him to a recliner, covered him in honey and invited the neighborhood bear in for a snack. Lauren Gunderson’s gut-busting, outrageous revenge comedy about dreams, healing, and the simple joy of tying a dickhead to the living room chair. Never bogged down by melodrama, the dramatic approach, the hilarious one-liners and the appropriately modern setting give the age-old story of a houswife’s awakening a fresh new Southern spin. Hood’s performance is a triumph. 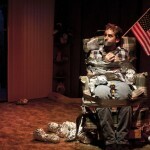 He has the magnetic, sickening attraction of an abuser; though he is constrained by duct tape for nearly the entire play, he nearly hoodwinks both the audience and Nan. As Sweetheart, Indigo Rael steals maybe too much of the spotlight with her perfect set of abs and daisy dukes, distracting us from her impressively open-mouthed performance as a clueless aspiring actress. Meanwhile, Stephen Mercantel has the best lines of the play, even if he chews on them a bit too much at times. 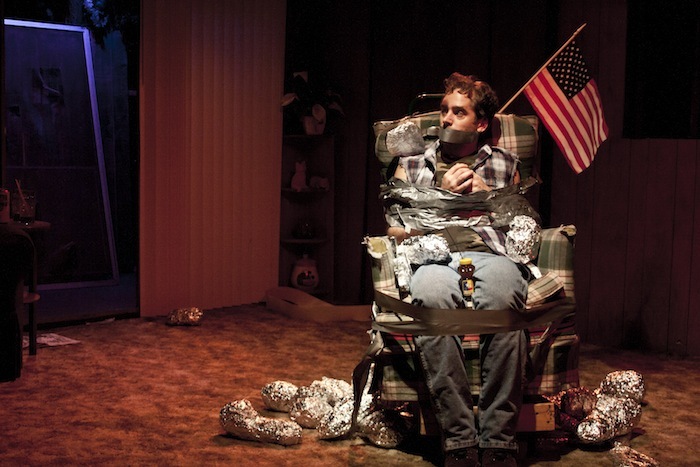 Indigo Rael’s comedic timing is impeccable…and Joey Hood brings surprising pathos to his final monologue. And though he could certainly stand to take it down a snap or two on the sassy scale, Stephen Mercantel is undeniably hilarious in his role as the hyper-protective best friend. Lauren is a playwright, screenwriter and short story author from Atlanta, GA, who lived in NYC before finding San Francisco. She received her MFA in Dramatic Writing at NYU Tisch, where she was also a Reynolds Fellow in Social Entrepreneurship. Her newest play, I and You, will be featured at South Coast Rep’s Pacific Playwrights Festival this April. Her 2011 3-city rolling world premiere of Exit, Pursued By A Bear, was featured in American Theatre Magazine and The Week. 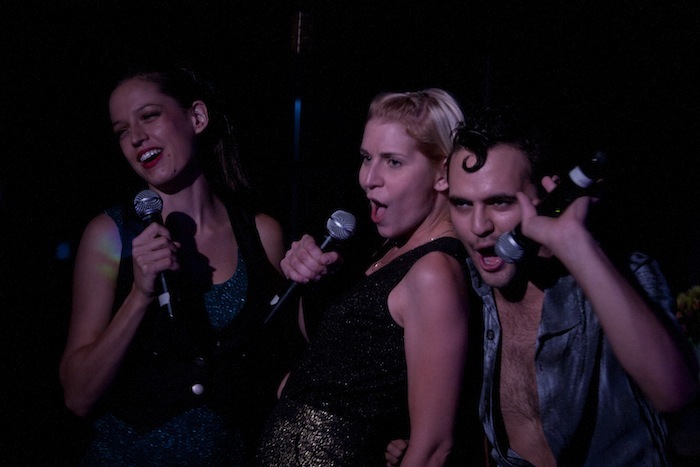 Bear started at Synchronicity Theatre in Atlanta and San Francisco’s Crowded Fire last summer. The play will reach at least 5 cities this year and will be published by Playscripts. Her first musical, The Amazing Adventures of Dr. Wonderful and Her Dog! for The Kennedy Center opened last fall to rave reviews. Her play Silent Sky premiered at South Coast Rep 2011. Emilie: La Marquise Du Chatelet Defends Her Tonight (Samuel French) was commissioned and premiered at South Coast Rep in 2009, running across the country. Fire Work was developed at The O’Neill National Playwrights Conference, and is a 2011 winner for Aurora Theatre’s Global Age Project. She is commissioned for 2 musicals with The Kennedy Center, a musical with Harry Connick Jr., and new plays for South Coast Rep, Crowded Fire, and SF Playhouse. She has developed plays with Second Stage, Red Bull, and Primary Stages in NYC; New Rep in Boston; Playwrights Foundation, Crowded Fire, TheatreWorks, Aurora Theatre, and The Magic Theatre in San Francisco; Kitchen Dog Theatre in Dallas; Synchronicity, Actor Express and Horizon Theatre in Atlanta; JAW at Portland Center Stage in Portland; WORDBridge, Brave New Works, and others. She received a Sloan Science Script Award (2008) for her screenplay Grand Unification. She teachers and speaks on the intersection of science and theatre, and is in development with MTV for a pilot about science fairs. Her work has received national praise and awards including the Berrilla Kerr Award for American Theatre, Global Age Project, Young Playwright’s Award, Eric Bentley New Play Award and Essential Theatre Prize. She has been commissioned by The Alliance Theatre’s Collision Project, Marin Theatre Company, Actors Express Theatre, Dad’s Garage Theatre, Theatrical Outfit, City University of New York and Synchronicity Performance Group. Leap was published with Theatre Emory’s Playwriting Center (2004), and her first collection of plays,Deepen The Mystery: Science and the South Onstage, is published with iUniverse (2006). She has developed plays with Second Stage and Primary Stages in NYC, New Rep in Boston, Playwrights Foundation, Crowded Fire, Aurora Theatre, and The Magic Theatre in San Francisco, Kitchen Dog Theatre in Dallas, Actor Express and Horizon Theatre in Atlanta, JAW/West in Portland, WORDBridge, Brave New Works, and others. 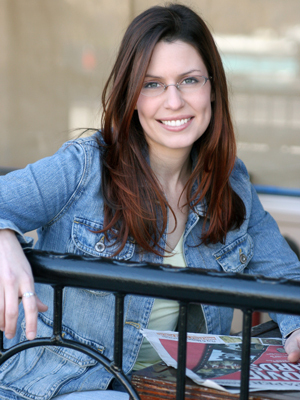 She received a Sloan Science Script Award (2008) for her screenplay Grand Unification. Leap was published with Theatre Emory’s Playwriting Center (2004), and her short story, “The Ascending Life”, won the Norembega Short Fiction Award and was published in the anthology, The Shape of Content; her science play Background was published in ISOTOPE: A Journal of Nature and Science Writing. Her string theory poem “Hook of a Number” was published in the anthology Riffing On Strings. She has spoken nationally and internationally on the intersection of science and theatre and Arts Activism. She is a Playwright in Resident at The Playwrights Foundation, a Dramatists Guild member, and was a member of Just Theatre’s New Play Lab. She writes for The Huffington Post,The Wall Street Journal, and tweets @LalaTellsAStory.